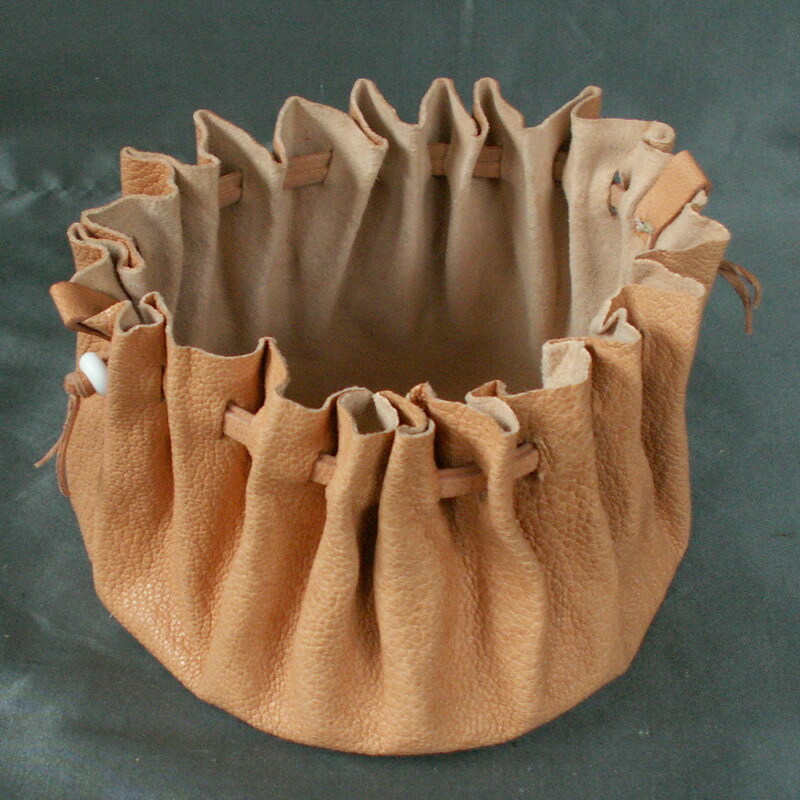 These purses are made from vegetable tanned goat skins that have been dyed using period dyes and are made entirely by hand. 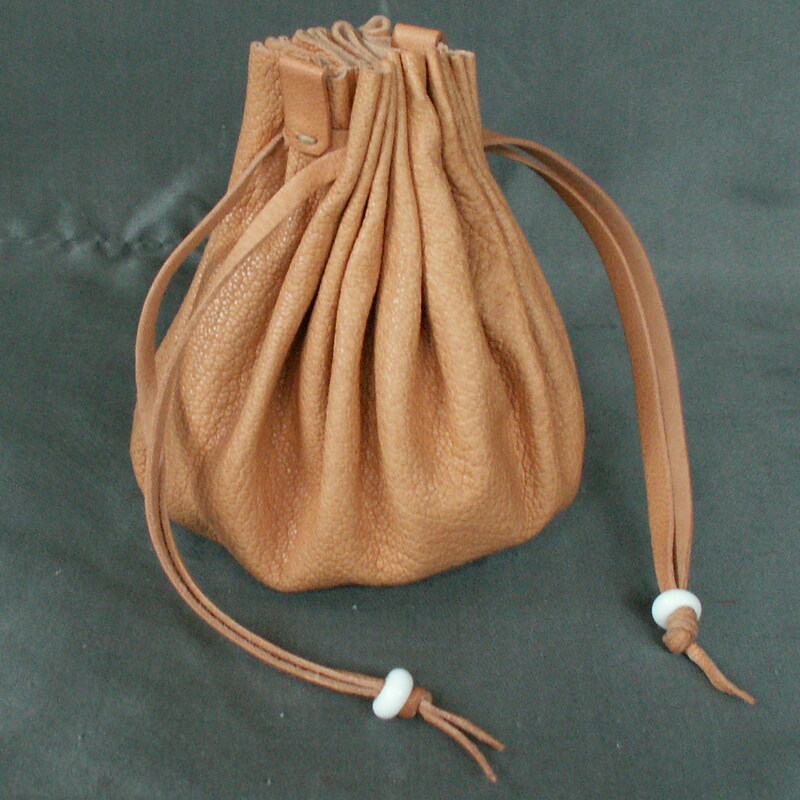 They are held closed with double leather drawstrings that have small tags attached which makes it easier to open the purse. 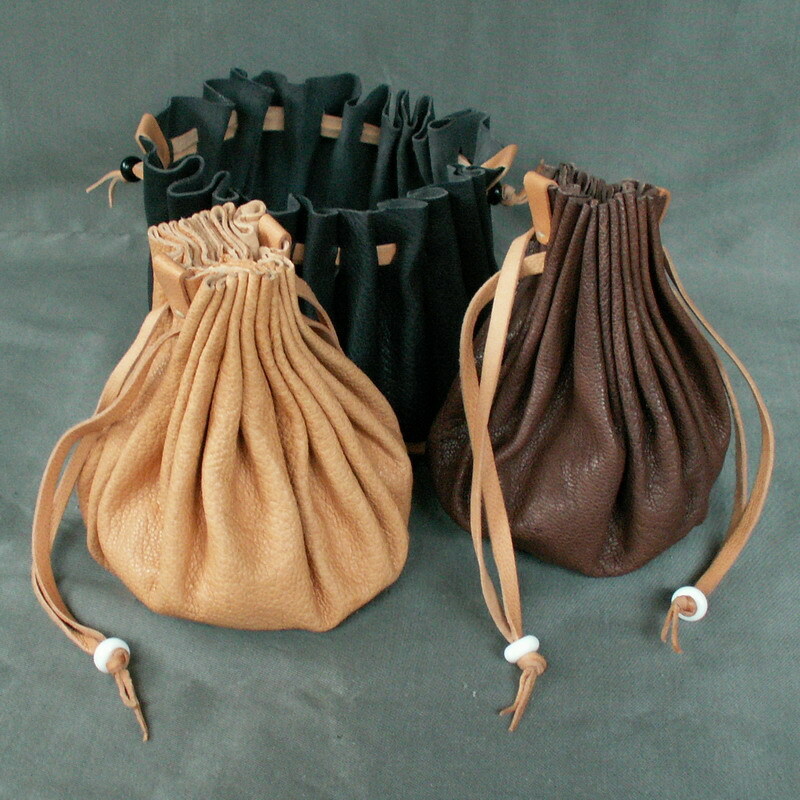 They are 6 inches wide and 5 inches long (16 x 12cm) when open.